Favourite destination: For many, the United Arab Emirates (UAE) is synonymous with oil, iconic skyscrapers, mega malls and beach resorts. However, there are many surprises to be discovered in the seven emirates forming the country, and Abu Dhabi, the capital, is a city of culture, heritage and more for people who want to escape the stresses of life, enjoy the beauty of nature and have a relaxing and exciting break. 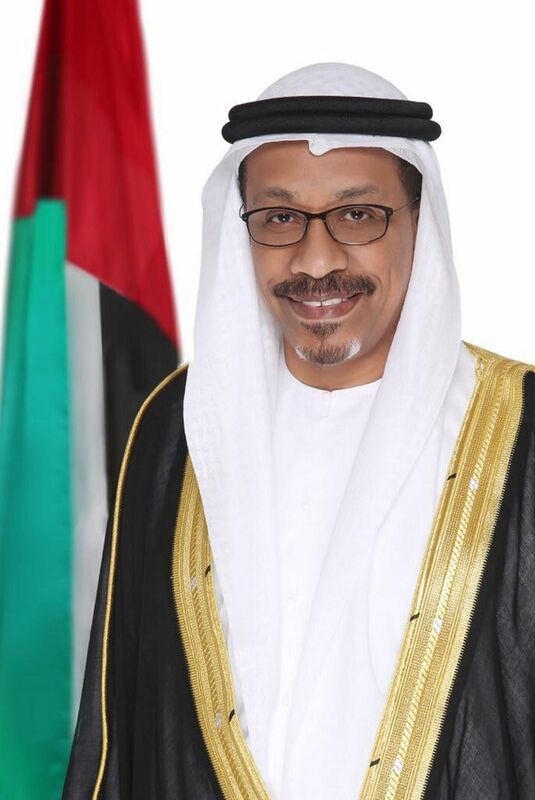 Heritage and culture are central to the UAE's national identity and there is a deep awareness of the need to preserve the indigenous culture on which Emirati society is based. Take a tour of historical landmarks such as Qasr Al Hosn (www.qasralhosn.ae/en), or White Palace, which dates back to 1760 and is the oldest stone structure in the Emirate of Abu Dhabi. It housed the ruling Al Nahyan family for generations and is the spiritual symbol of the UAE. It is now home to a permanent museum and an annual cultural festival. Another highlight of the city is the wonderful Sheikh Zayed Grand Mosque (www.szgmc.ae/en), also known as the Grand Mosque - the largest mosque in the UAE and the eighth largest in the world. It can accommodate more than 40,000 people and you will be astonished by the spectacular domes and minarets of its vast white marble edifice. Inside, the mosque offers an awe-inspiring display of Arabic and Islamic architecture and art. He and his wife, Mrs Wafa Mohamed Jabran, have lived in Singapore since June last year. Modern art can be found at the Saadiyat Cultural District Abu Dhabi (www.saadiyatculturaldistrict.ae), an island 500m off the coast of Abu Dhabi, where world-class museums and exhibition halls are located. It was just announced last week that the Louvre Abu Dhabi museum will open its doors to the public on Nov 11. The museum will highlight artwork curated by themes and stories that are shared across cultures - from prehistorical objects to modern commissioned artworks. It will be the first museum of its kind in the Arab world. In addition to the galleries, it will have exhibitions, a Children's Museum, a restaurant, a boutique and a cafe. The Manarat Al Saadiyat artistic venue - which hosts international exhibitions and houses three major galleries, a central events gallery, a 250-seat theatre and a restaurant - has been open since 2010. The Zayed National Museum and Guggenheim Abu Dhabi, which will focus on contemporary art from across the globe, will open in a few years. If you love water, you should visit Corniche Beach. With pristine sand and clear blue water, it is usually bustling with people, particularly on weekends. 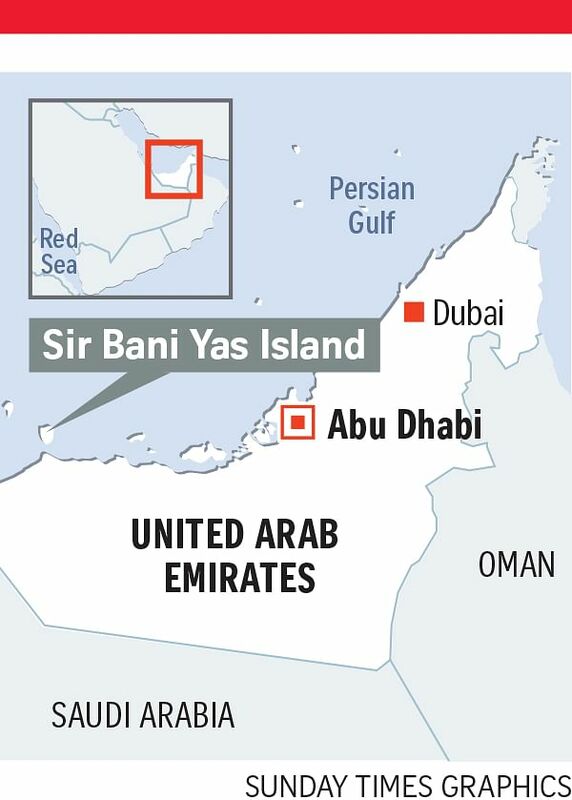 Also enjoy the spectacular Sir Bani Yas Island (www.sirbaniyasisland.com), located 170km southwest of Abu Dhabi. The island, which has a bird sanctuary and wildlife reserve, offers activitiessuch as archery, kayaking, mountain biking, hiking, snorkelling, land sailing, horse riding and falconry. About half the island is dedicated to the Arabian Wildlife Park, where more than 13,000 animals, including the Arabian oryx, Somali ostrich, giraffes, hyenas and cheetahs, roam freely. Visitors can go on guided nature and wildlife drives or walks, do horse riding or mountain biking. The park was founded by the late Sheikh Zayed, the founder of modern UAE, who loved the desert. He used to spend several days in the middle of the desert hunting, and the falcon was both his companion and hunting tool. Despite the modernity of the UAE, he thought it was important to revive and protect the UAE's heritage. Thus, the falcon is an official symbol of the country. Sheikh Zayed also established the Abu Dhabi Falcon Hospital (www.falconhospital.com), the first and largest of its kind. You can tour the hospital and learn more about the magnificent birds, the history of falconry, and see some falcons up close. Visitors from Singapore will not have to worry about missing biryani, laksa or teh tarik because you will find plenty of shops and restaurants in Abu Dhabi serving these delights and other familiar dishes. If you want to try something local, head to Al Fanar Restaurant and Cafe (alfanarrestaurant.com/en), a chain owned by a young Emirati who wanted to offer tourists and expatriates a taste of authentic Emirati culture and cuisine. The restaurants are designed to revive memories of Dubai in the 1960s, when it was still a small town on the shore of the Arabian Gulf. Try the machboos deyay, chicken cooked with yellow rice simmered in chicken stock, special Arabic spices and dry lemon; jesheed, crumbled baby shark cooked with onion and mixed spices served with white rice; hobool, deep-fried roe; and legaimat, golden and crisp fried dough balls coated with date syrup. A meal here costs $15 to $40 a person. Learn more about the UAE's 4,000-year-old falconry and hunting traditions at the Abu Dhabi International Hunting and Equestrian Exhibition (www.adihex.com), the only dedicated consumer and trade event in the Middle East for safari, hunting, equestrian, outdoor and marine sports, arts and antiques, and culture and heritage. It takes place in Abu Dhabi every September. To see the UAE's falconry traditions, attend the Fazza Championship for Falconry (hhc.gov.ae/en/championships), which typically takes place every January in Dubai. Hundreds of young and old Emirati falconers gather to show their skills in handling the attractive yet intimidating birds. Etihad Airways offers daily direct flights between Singapore and Abu Dhabi. • You will be surprised by how easily you can interact with the Emiratis. The people are friendly, generous and ready to offer their unconditional help at any time. •Some Emirati families may invite you to their homes for lunch or dinner. Don't hesitate. It will be an opportunity for you to experience local hospitality and delicious local dishes cooked at home. •Try as much as you can to dress appropriately while in public places, which typically means being covered from your shoulders to your knees. Emiratis love etiquette and pay a lot of attention to their image at home and abroad. •Visitors can use the common greeting "Assalamu alaikum", which means "may peace be upon you", but they can also just say "Ahlan",' which means "hello". •Avoid consumption of alcohol and drunkenness in public. Consume alcohol only in the hotels and restaurants that serve it. •While taking pictures in public places, ask for permission before taking photos of people, especially women. •Tipping is not an obligation in restaurants or for those who provide services. However, it is seen as a gesture of generosity. Camel-racing is another unique part of the UAE's heritage and the traditional lifestyle of its people. The races were mainly held to mark important social occasions such as weddings. Nowadays, races can take place all year round, but the primary racing season is from October to April, mainly on Thursdays, Fridays and Saturdays at the Al Wathba, Al Maqam and Al Ain camel race tracks. Camel festivals are also held throughout the year. One of the best takes place during the annual HH Sheikh Sultan bin Zayed Al Nahyan Heritage Festival (bit.ly/2xjAj6u), where events include camel races, camel beauty contests, camel milking and a Saluki (Persian greyhound) race.There are also traditional games, Yolla (national dance), falconry, a souk (market) and other traditional activities. Dubai, which is 140km from Abu Dhabi, shines with its luxury, modern buildings and streets. Visit Burj Khalifa, the world's tallest building at 824m. Take the high-speed elevator to the 124th-floor viewing point. A little farther north in the Emirate of Sharjah,visit the oldest market place in the UAE, the Souk Al Arsah, and the most famous market in Sharjah, the Blue Souk. You will see colourful shops and get bargains on gold, silver, precious stones, jewellery, carpets and rugs. Then go to the Emirate of Ajman, less than an hour's drive from central Dubai, for white-sand beaches, rolling desert dunes, craggy mountain backdrops and thriving mangrove forests; or to the Emirate of Umm al-Quwain for its historical houses, mosques, streets and the people, who always have wonderful smiles. Pleasant, air-conditioned malls make it easy to enjoy shopping in most of the UAE. Especially in Abu Dhabi, Dubai and Sharjah, malls housing theatres, cinemas, game zones, food courts and children's play areas cater to every customer's needs under one roof. Yas Mall (www.yasmall.ae/en-us) is one of the biggest malls in Abu Dhabi. It is attached to Ferrari World Abu Dhabi (ferrariworldabudhabi.com), a Ferrari theme park with rides, games and roller coasters, and the Yas Marina circuit, where the annual Formula 1 Abu Dhabi Grand Prix takes place. Another shopping highlight is The Galleria on Al Maryah Island (www.thegalleria.ae), a mall with luxury fashion and jewellery boutiques sitting on the waterfront promenade. Located in Abu Dhabi and only 40 minutes from the airport, Emirates Palace (www.kempinski.com/en/abudhabi/emirates-palace) is grand in both its design and offerings. With landscaped pools and a private marina overlooking a natural bay, the luxury five-star Kempinski hotel is perfect for a once-in-a-lifetime holiday. If you do not mind being far from the city, stay at the Qasr Al Sarab Desert Resort by Anantara (qasralsarab.anantara.com), about 300km from Abu Dhabi. There, guests can enjoy luxury and comfort surrounded by the mesmerising Rub'Al Khali, the largest uninterrupted sand desert in the world.